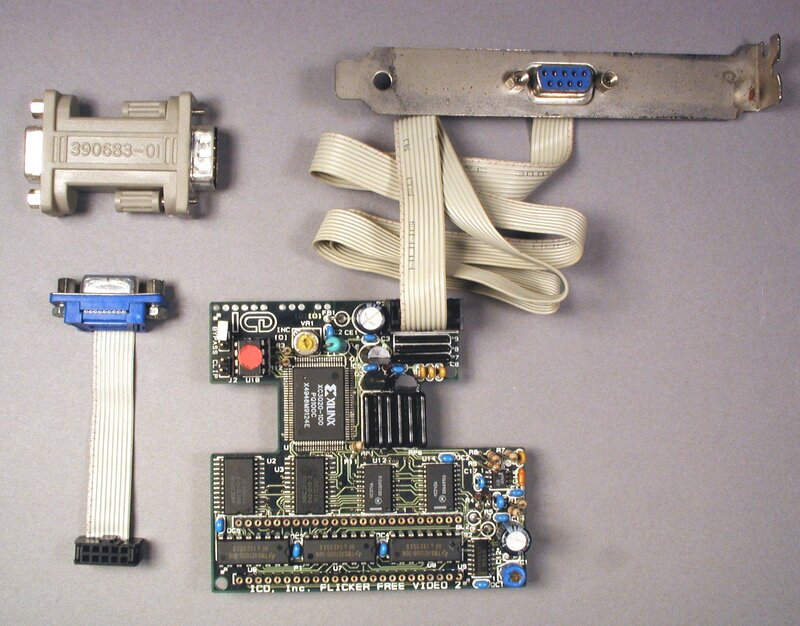 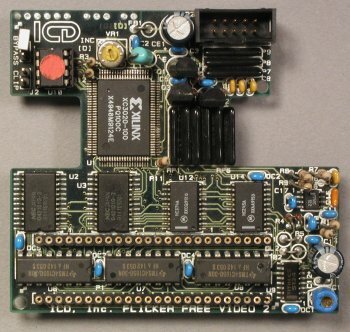 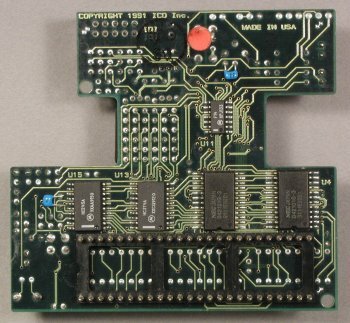 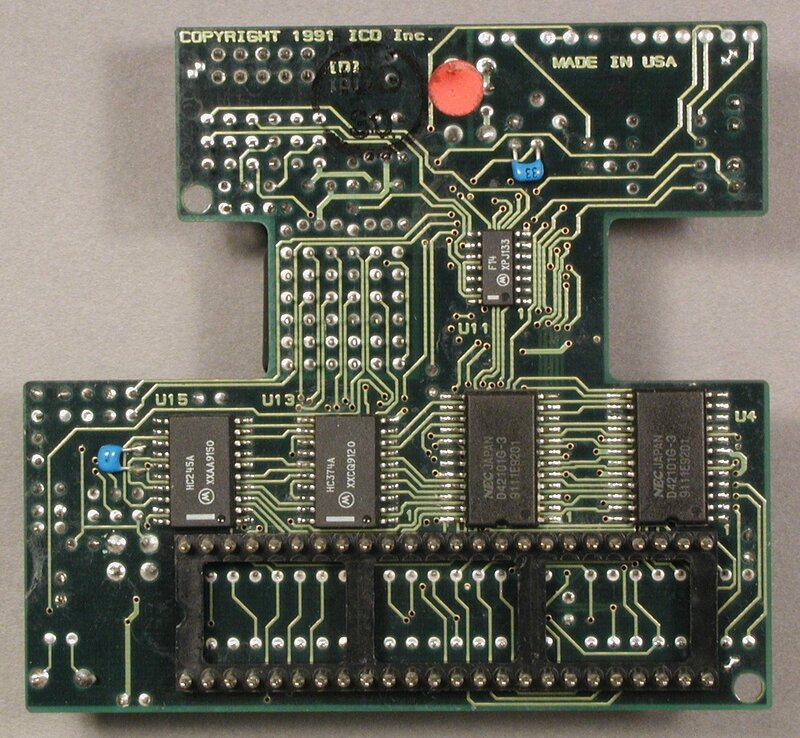 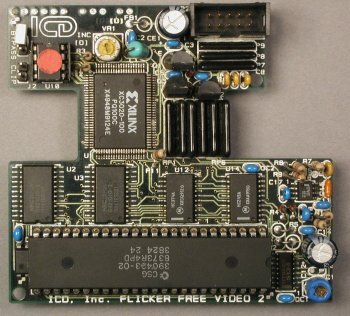 The Flicker Free Video 2 plugs into the denise socket of the A500, A2000 and A1000 and provides your Amiga with a scandoubled and flickerfixed display, suitable for use with S/VGA type monitors. It is also compatible with the Video Toaster 2000. 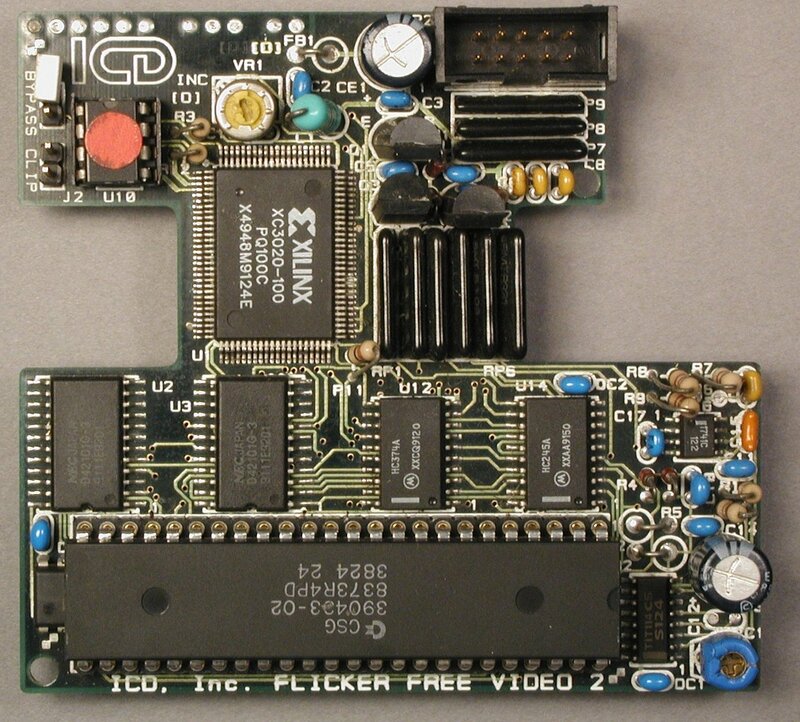 Page 15, Table 1 "VGA To Flicker Free Video 2 adapter pin assignments"
Page contributors: Gordon Cunningham, Takahasi Kasiko.